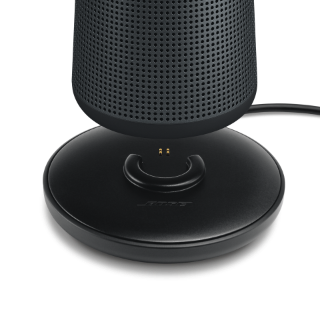 Our two 360° SoundLink speakers are similar. 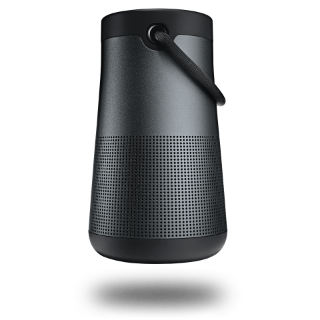 There’s SoundLink Revolve and SoundLink Revolve+, which plays louder and longer and includes a fabric handle for easy portability. Don’t have your phone handy? Don’t worry. You can still make dinner reservations or send a text message. 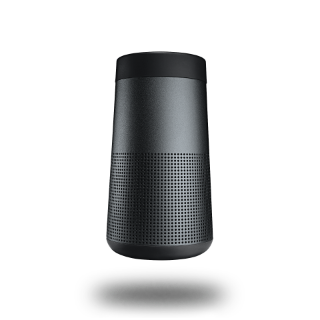 Just press and hold the multi-function button to access the voice input for your phone’s Siri or your Google Assistant right from the speaker. Problem solved. 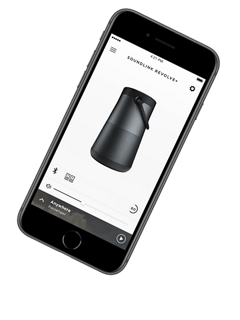 The Bose Connect app gives you easy access to everything your product has to offer. Get tips, unlock product features and personalize your settings, so you can spend more time enjoying the music instead of setting it up. 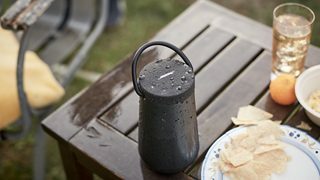 You can also easily manage your speaker’s Bluetooth connections with one single swipe, so everyone can have a turn being the DJ. And when loud just isn’t loud enough, turn it up with Party Mode to play two wireless speakers simultaneously. Or switch to Stereo Mode for dedicated left and right playback giving you a full and dynamic surround sound experience. An optional charging cradle keeps your SoundLink Revolve charged and ready. It’s a convenient home base for your speaker, and you can play your music while it charges. Just plug the wll charger included with your speakers into the cradle. 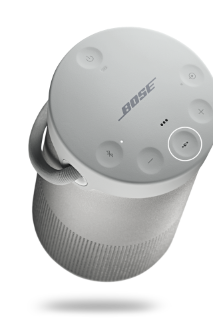 For a limited time, we’re offering a bundle of our SoundLink Revolve+ speaker with the Amazon Echo Dot with Alexa. 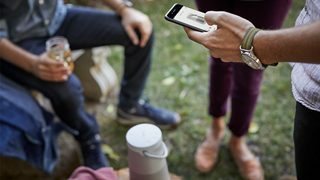 Playing music is easier than ever with voice access to streaming services like Amazon Music, Spotify, Pandora, iHeartRadio and TuneIn. And everything else that Alexa can do it played back in surprisingly full sound. So, what’s Echo Dot? It’s a convenient, hands-free way to use Alexa, the smart voice control assistant from Amazon, over your home Wi-Fi® network. 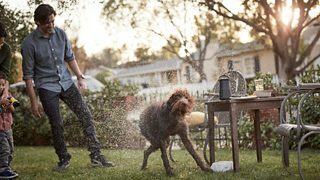 Alexa can play music, get your news, manage smart home devices and more. 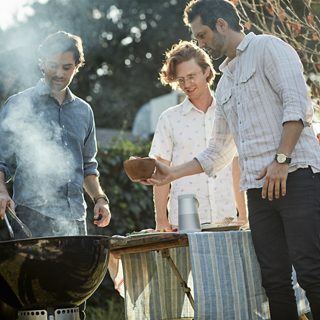 So when you pair it with a SoundLink Revolve+ speaker, it plays everything back in full-range sound. That means streaming music is easier than ever, too. 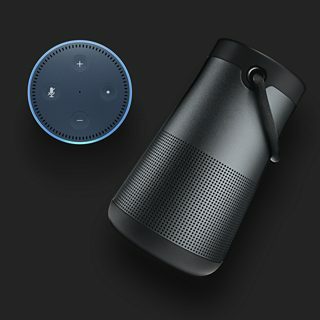 Just pair your speaker with Echo Dot and tell Alexa what you want to hear. With this bundle, Alexa has never sounded better. Don’t have your phone handy? Don’t worry. Just press and hold the multifunction button to access the voice input for Siri or your Google Assistant right from the speaker.